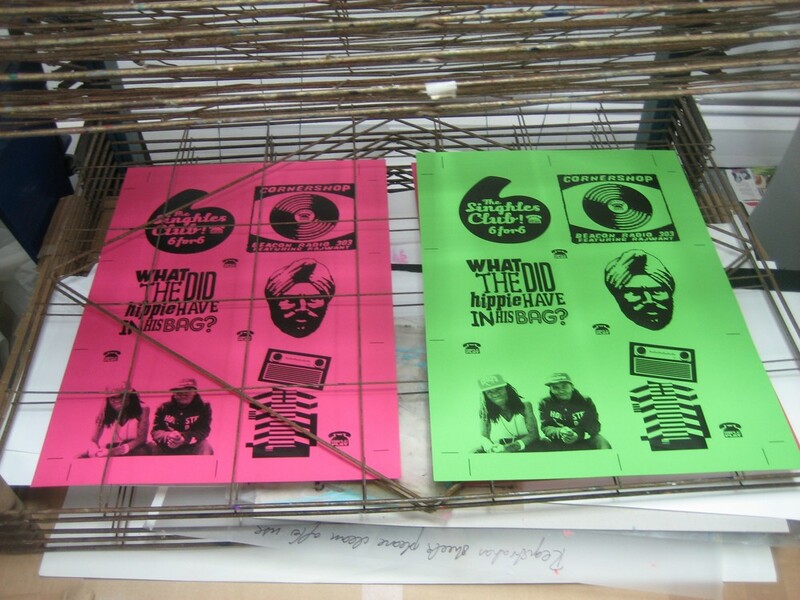 Working closely with the band Cornershop – a limited edition set of 6 x 7″ single sized prints featuring artwork of, or inspired by, Cornershop's Singhles Club. 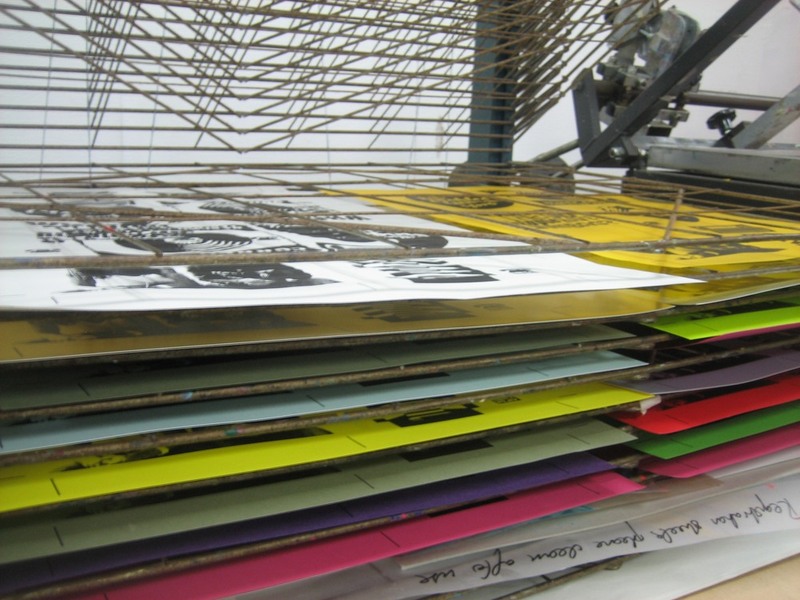 Printed on a selection of papers, approximately 50 different sheets from grey board to smooth coloured sheets, metallics to uncoated papers, in lots of different shades and textures. 4 different inks were used – silver, black, red and blue. It is a limited edition run of 50 packs of 6 cards, whereby every set is completely unique, arriving in a hand stamped kraft envelope – no two sets are the same. 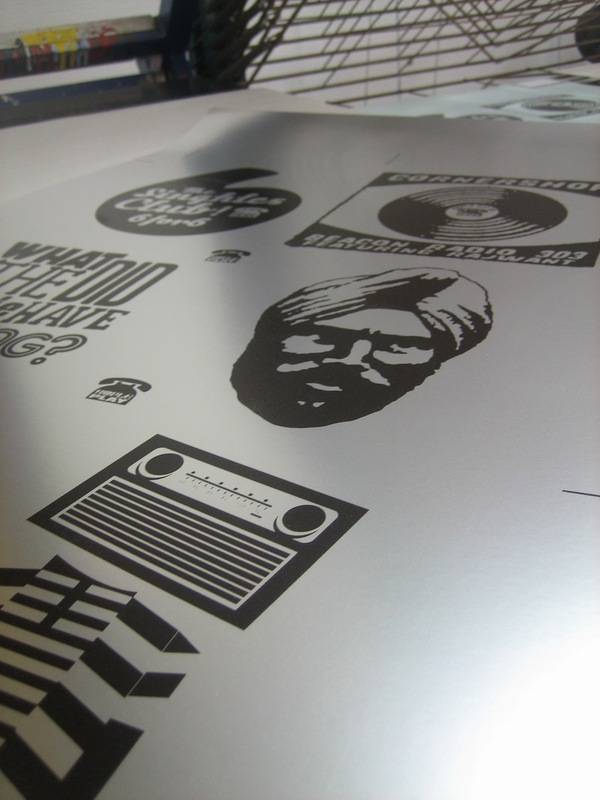 These prints are available to buy directly from the Cornershop website here.